Today, 80% of students need the Internet to complete their homework and 90% of job applications are online. Yet in Rhode Island, 58,821 families or 14.2% of households, are not connected to the Internet and another 41,911 families or 10.3% only have access via a smartphone and data plan, making nearly a quarter of Rhode Islanders under-connected(2017 American Community Survey). Closing this digital divide is critical to empowering Rhode Islanders to take advantage of new opportunities and to compete in the new skills economy. How we meet these challenges will determine our future. We need to keep our momentum going with bold solutions like ConnectRI. ConnectRI is an initiative spearheaded by the Rhode Island Office of Innovation in partnership with EveryoneOn and ConnectHome (a national nonprofit), Rhode Island Housing Authority, Providence Housing Authority, and Providence Public Library aimed at eliminating the digital divide and connecting all Rhode Islanders to high speed broadband in their home. Through the initiative, we will offer our neediest residents high-speed, low-cost Internet service, computers, and free digital literacy courses accessible in their home. Internet Access through Affordable Housing: The first step in our broader Digital Equity Initiative is to partner with Rhode Island’s public and private low-cost housing communities to bring low cost internet to their residents. Disconnected residents can access subsidized internet service, affordable devices, and free digital literacy training through our program. Our first deployment of 2019!! 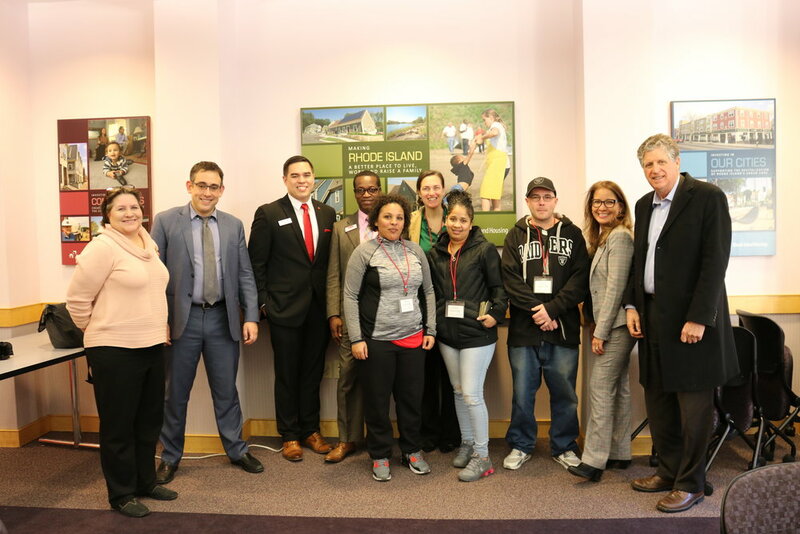 RI Housing residents received T-Mobile tablets with two years of internet access thanks to a grant from Santander Bank. Lt. Gov. Dan McGee stopped by at the training and deployment event. Residents and the Lt. Governor gathered with representatives from HUD, RI Housing, Santander Bank, and the Office of Innovation. Click on the picture to read all about it.